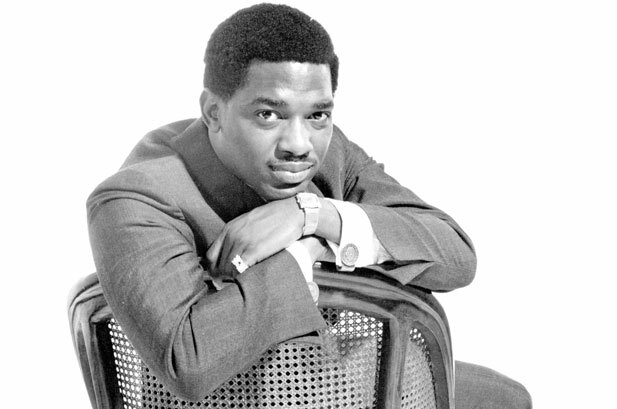 Soul Serenade: Edwin Starr, "Twenty-Five Miles"
There is no doubt that Edwin Starr is most well known for his powerful 1970 smash “War.” If he had never had another hit, his legacy as an artist would have been assured. “War” was not Starr’s only hit however, or even his first. Starr was born in Nashville in 1942. By the time he was in high school he was singing in a doo-wop group called the FutureTones. The group did well in local talent shows, and even recorded for a small label, but when Starr was drafted in 1960 any momentum that the FutureTones had came to a halt. Two years later Starr got out of the military, but he was unable to kick start the group again. Instead he joined Bill Doggett’s band as the featured singer in 1963. Two years later, with the James Bond craze at its peak, Starr was sure that he had written a hit with a song called “Agent Double-O-Soul.” He left Doggett’s group, signed with Ric Tic Records, and moved to Detroit. Starr was right about the song. “Agent Double-O-Soul” was an R&B Top 10 hit, and almost cracked the Top 20 on the pop chart. Starr proved that he was no one-hit-wonder when he returned to the charts the following year with the sizzling “Stop Her On Sight (S.O.S. ).” When Berry Gordy, Jr. bought out the Ric Tic label, Starr was the big prize in the deal. It took Starr a little while to work out a deal with Motown, but by 1969 he was back with the stomping “25 Miles.” It was a Top 10 smash on both the R&B and pop charts, but the follow up, “I’m Still a Struggling Man,” didn’t do as well, and as sometimes happened at Motown, Starr’s career was put on the back burner for a few months. Motown producer Norman Whitfield was working with the Temptations at the time. Whitfield had already had hits like “Cloud Nine,” and Psychedelic Shack” with the group, and he had written a powerful protest song called “War” for them. The Temptations recording of “War” was supposed to be their next single, and it was scheduled to appear on their Psychedelic Shack album. The powers that be at Motown had other ideas however. The label was hesitant to put out a Temptations record with such a strong anti-war message at a time when the country was deeply divided over the Vietnam War. Whitfield went back into the studio and recut the song with Starr as the vocalist. The single raced to the top of the charts in 1970 and is widely considered a Motown classic. Starr began recording for small labels, releasing “Free To Be Myself” for Granite Records in 1975, and “Afternoon Sunshine” for GTO in 1977. Finally he landed at 20th Century Records where he morphed into a disco singer and had hits with “Contact,” and “H.A.P.P.Y. Radio” in 1979. He left the label the following year. In the ’80s Starr moved to the UK. He recorded sporadically for labels like Streetwave and Hippodrome. Eventually he landed, as several other former Motown artists did, on Ian Levine’s Motown revival label Motorcity from 1989-1991. At Motorcity he released six singles and the album Where is the Sound. As you might have guessed, his presence in England led to Starr becoming a prominent figure in the Northern Soul scene there. He remained in England until his death from a heart attack in 2003 at the age of 61.